Adding text and/or a design to the back of this glass is $24.00 each. Designs on the front of the glass are free. 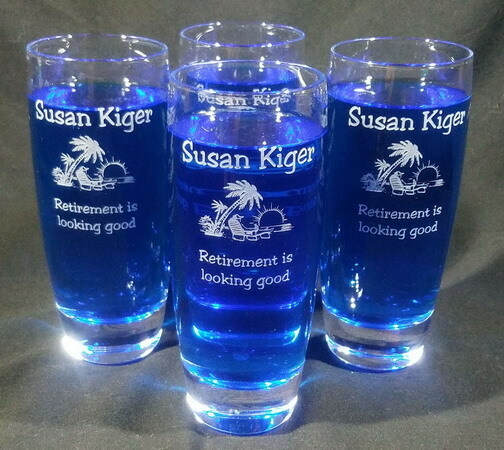 Add an additional $24.00 for a design and/or text on the back of the glass. Elegant yet affordable, the Michelangelo Beverage glass set pf 4 is made in Italy of ultra-clear and durable formula. 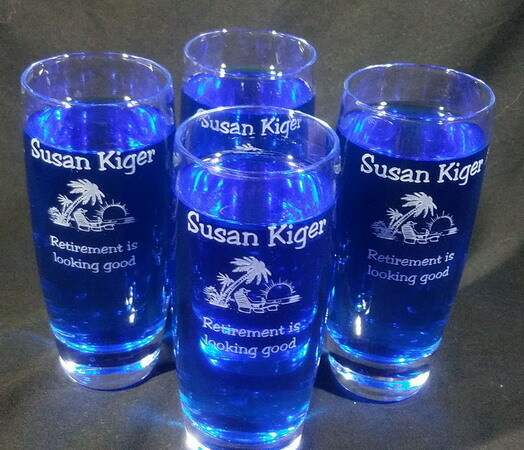 The example personalized Michelangelo Beverage Glass set in the photo has my Retirement design, but this glass is also great for weddings, gifts or company logos. The Michelangelo Beverage Glass Set is manufactured by Luigi Bormioli.